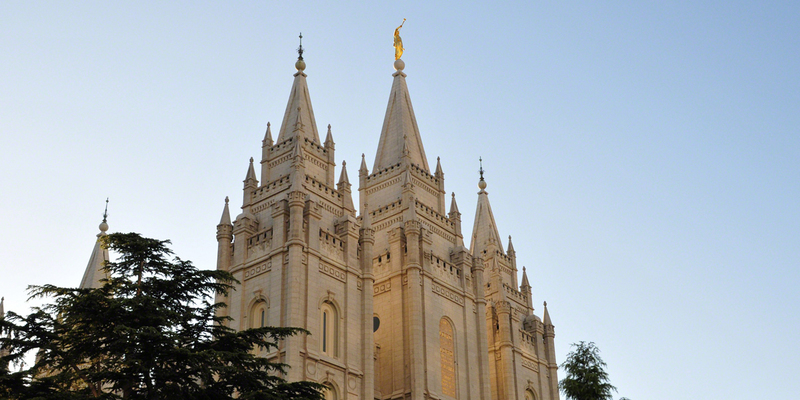 In July 1831, the Lord revealed to Joseph Smith that the saints were to build a temple as part of the city of Zion (Doctrine and Covenants 57:2–3; 58:57). The temple was to be a place for teaching and revelation (Doctrine and Covenants 97:13–14; 124:38). It was the house of the Lord, a place where the Lord could come and appear to His people (Doctrine and Covenants 97:15–16; 109:5). It was a place for the ordinances of salvation and for being endowed “with power from on high” (Doctrine and Covenants 95:8; 124:38–40). Although the exact details of the temple and its ordinances would be revealed over time, the Lord provided general information regarding its purposes early on, including through texts in the Book of Mormon. From the beginning, Nephite culture was temple-centric, so readers should not be surprised to see mentions of it, as well as temple imagery and themes, throughout the Book of Mormon record. Near the beginning of the book, Nephi related that one of the actions of his new community was to build a temple in the city of Nephi (2 Nephi 5:16). This temple played a role in the background of Jacob’s writings (Jacob 2:2, 11). This temple in the Land of Nephi was built to look and function like the temple of Solomon in Jerusalem. It was the first of several temples mentioned in the Book of Mormon account. In Mosiah 1–6, the people gathered to the temple in the city of Zarahemla to hear the words of King Benjamin. King Noah had a temple built in his city in the land of Nephi (Mosiah 11:10), which was subsequently used by his son, Limhi (Mosiah 7:17). Helaman 3:9 mentions that there were temples built in the cities of “the land northward.” Alma and Amulek travelled through all the Nephite lands in and around the land of Zarahemla, “preaching repentance to the people in their temples” (Alma 16:13). Alma 23:2 mentions temples among the Lamanites as well. The Lord Jesus Christ appeared to the people at “the temple which was in the land Bountiful” (3 Nephi 11:1). Within the text of the Book of Mormon one can find many of the revealed purposes of temples. As outlined below, the temple was a place for teaching and for revelation, for ordinances, for receiving power from on high, and a place for the Lord to show Himself to His people. Nephi consecrated Jacob and Joseph to be priests and teachers (2 Nephi 5:26), and the Book of Mormon presents explicit instances of Jacob teaching at the temple (Jacob 1:17; 2:2, 11). Jacob declared that he had received revelation from the Lord regarding what he was to teach (Jacob 1:17; 2:11). King Benjamin gathered his people to the temple so that he could teach them about the doctrines and covenants of the Lord (Mosiah 1:18; 2:1, 6). Like Jacob, Benjamin announced that the Lord gave him the words that he was going to share in this case “by an angel from God” (Mosiah 3:2). King Limhi similarly had his people “gather themselves together to the temple, to hear the words which he should speak unto them” (Mosiah 7:17). Alma mentioned more than once that he was engaged in teaching people at their temples (Alma 16:13; 23:2; 26:29). Nephi, the son of Helaman, received a revelation, which included promises given to him by God “in the presence of [His] angels” (Helaman 10:6). Apparently, Helaman received this revelation in a temple, since the Lord stated that Nephi would have power to rend “this temple” in twain (v. 8, emphasis added). The Savior Himself, in 3 Nephi 11, chose to teach the Book of Mormon people at the temple. In this sacred setting, Jesus taught a version of His “Sermon on the Mount,” which was subtly filled with temple-related terms, allusions, and imagery. Although there is not much detail given in the Book of Mormon regarding specific rites or ordinances performed in temples, there are some inferences in this regard scattered throughout the text. Until the atonement and resurrection of Christ, the Nephites made sacrifices according to the Law of Moses. Nephi said that his family continued to offer sacrifices after they left Jerusalem (1 Nephi 5:9; 7:22). Those who went up to the temple to hear King Benjamin “took of the firstlings of their flocks, that they might offer sacrifice and burnt offerings according to the law of Moses” (Mosiah 2:3), and King Benjamin’s speech can be understood to imply the performance of a number of covenant-related rituals. When Nephi, son of Helaman, spoke to the Lord at the temple, the Lord promised to endow him with power, “that whatsoever ye shall seal on earth shall be sealed in heaven; and whatsoever ye shall loose on earth shall be loosed in heaven” (Helaman 10:6–9). Jesus performed numerous ordinances at or near the temple in Bountiful. 3 Nephi records that He healed the sick (3 Nephi 17:7–10), blessed the children and prayed for their parents (vv. 17, 21), blessed His disciples so that they were transfigured (3 Nephi 19:25; cf. Numbers 6:23–27), administered the sacrament twice (3 Nephi 18, 20), and ordained His disciples, giving them power to baptize and perform other ordinances (3 Nephi 11:21–27). Jesus Christ Administering the Sacrament in America by Brooke Malia Mann. The crowning event of the Book of Mormon is the visit of Jesus Christ to the Americas. The Savior came from heaven to show Himself to His people at the temple in the land of Bountiful. He appeared at a time when the more righteous among the people were gathered at the temple (3 Nephi 11:1; cf. 10:12). He declared His identity to them and allowed each individual to come and “thrust [their] hands into [His] side” and “feel the prints of the nails in [His] hands” and feet, thus obtaining for themselves a witness that He was, indeed, “the God of Israel” (3 Nephi 11:14). As they participated in this grand theophany (encounter with God), “they remembered that it had been prophesied among them that Christ should show himself unto them after his ascension into heaven” (11:12). 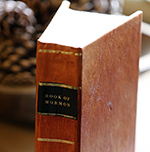 The Book of Mormon, as abridged from various Nephite records, did not include many specifics regarding the internal operations of their temples and their holy ordinances. However, the book’s numerous references to the temple would likely have served to emphasize to Joseph Smith and the early saints the significance of building and worshipping in such a sacred sanctuary. The Book of Mormon may have helped Joseph understand that it was appropriate to build temples whenever and wherever the people of God might find themselves. Furthermore, as the prophet continued to receive revelations, he may well have noticed that many of their temple-related themes and teachings were already presented in his translation of the Book of Mormon. Perhaps the gleanings were somewhat obvious and basic at first, but as Joseph continued to be divinely tutored on the subject, the intricacies of temple worship would have become more and more noticeable to him and other early saints. One of [the Book of Mormon’s] precepts is clearly the centrality of the temple. The book of 3 Nephi lays forth a holy template for how one may dwell forever in the house of the Lord Jesus Christ, the Son of God and the great and eternal High Priest of all mankind. In light of all that can be said about temples in the Book of Mormon, it is finally well to remember that in 1829, when the Book of Mormon was translated, Joseph Smith had scarcely thought or dreamed of a temple. Two years later he and the Church would move to Kirtland, where a temple was dedicated in 1836. … In retrospect, we can see today that the blueprint of the Restoration for worshiping the Lord Jesus Christ in his holy house was already largely embedded in the texts of the Book of Mormon. Jeffrey R. Bradshaw, “What Did Joseph Smith Know about Modern Temple Ordinances by 1836?” in The Temple: Ancient and Restored, Proceedings of the 2017 Temple on Mount Zion Symposium, Temple on Mount Zion Series 3, ed. Stephen D. Ricks and Donald W. Parry, (Salt Lake City and Orem, UT: The Interpreter Foundation and Eborn Books, 2016), 1–123. David E. Bokovoy, “Ancient Temple Imagery in the Sermons of Jacob,” in Temple Insights: Proceedings of the Interpreter Matthew B. Brown Memorial Conference, ed. William J. Hamblin and David Rolph Seely (Orem, UT and Salt Lake City: The Interpreter Foundation and Eborn Books, 2014), 171–186. Hugh Nibley, Temple and Cosmos, The Collected Works of Hugh Nibley, Volume 12 (Salt Lake City and Provo, UT: Deseret Book and FARMS, 1992), 1–41. See also Doctrine and Covenants 84:3–5; 97:10–20; 124:49–51. Jeffrey R. Bradshaw argued that Joseph Smith likely knew the main “doctrines and principles relating to temple matters” by at least 1833. Bradshaw, “What Did Joseph Smith Know about Modern Temple Ordinances by 1836?” in The Temple: Ancient and Restored: Proceedings of the 2014 Temple on Mount Zion Symposium, ed. Stephen D. Ricks and Donald W. Parry (Salt Lake City and Orem, UT: Interpreter Foundation and Eborn Books, 2016), 37. See also Gerald E. Smith, Schooling the Prophet: How the Book of Mormon Influenced Joseph Smith and the Early Restoration (Provo, UT: Maxwell Institute, 2015), 129–164. Regarding the appropriateness of the Lehites building temples outside of Jerusalem, see Book of Mormon Central, “Did Ancient Israelites Build Temples Outside of Jerusalem? (2 Nephi 5:16),” KnoWhy 31 (February 11, 2016). See David E. Bokovoy, “Ancient Temple Imagery in the Sermons of Jacob,” in Temple Insights: Proceedings of the Interpreter Matthew B. Brown Memorial Conference, ed. William J. Hamblin and David Rolph Seely (Orem, UT and Salt Lake City: The Interpreter Foundation and Eborn Books, 2014), 171–186; Kevin Christensen, “Jacob’s Connections to First Temple Traditions,” Insights 23, no. 4 (2003); Book of Mormon Central, “How is Jacob’s Speech Related to the Ancient Israelite Autumn Festivals (2 Nephi 6:4),” KnoWhy 32 (February 12, 2016); Book of Mormon Central, “Why Does Jacob Quote So Much from the Psalms? (Jacob 1:7; cf. Psalm 95:8),” KnoWhy 62 (March 25, 2016); Book of Mormon Central, “Did Jacob Refer to Ancient Israelite Autumn Festivals? (2 Nephi 6:4),” KnoWhy 32 (February 12, 2016). See Book of Mormon Central, “Why Did the Nephites Stay in Their Tents During King Benjamin’s Speech? (Mosiah 2:6),” KnoWhy 80 (April 18, 2016); Book of Mormon Central, “Why Does King Benjamin Emphasize the Blood of Christ? (Mosiah 4:2),” KnoWhy 82 (April 20, 2016); John A. Tvedtnes, “King Benjamin and the Feast of Tabernacles,” in By Study and Also by Faith: Essays in Honor of Hugh W. Nibley, ed. John M. Lundquist and Stephen D. Ricks (Salt Lake City: Deseret Book and FARMS, 1990), 2:197–237; Terrence L. Szink and John W. Welch, “King Benjamin’s Speech in the Context of the Ancient Israelite Festivals,” in King Benjamin’s Speech: “That Ye May Learn Wisdom”, ed. John W. Welch and Stephen D. Ricks (Provo, UT: FARMS, 1998), 147–223. Helaman 3:14 also mentions temples of the Nephites and Lamanites. See Book of Mormon Central, “Why is There Temple Imagery in Helaman 10? (Helaman 10:8),” KnoWhy 181 (September 6, 2016); Stephen O. Smoot, “The Divine Council in the Hebrew Bible and the Book of Mormon,” Studia Antiqua: A Student Journal for the Study of the Ancient World 12, no. 2 (Fall 2013): 1–18; Andrew C. Skinner, “Nephi’s Ultimate Encounter with Deity: Some Thoughts on Helaman 10,” in The Book of Mormon: Helaman through 3 Nephi 8, According to Thy Word, ed. Monte S. Nyman and Charles D. Tate Jr. (Provo, UT: Religious Studies Center, Brigham Young University, 1992), 115–127. See Book of Mormon Central, “Why Did Jesus Deliver a Version of the Sermon on the Mount at the Temple in Bountiful? (3 Nephi 12:6),” KnoWhy 203 (October 6, 2016); Book of Mormon Central, “What Makes 3 Nephi the Holy of Holies of the Book of Mormon? (3 Nephi 14:13–14),” KnoWhy 206 (October 11, 2016); John W. Welch, “Seeing Third Nephi as the Holy of Holies of the Book of Mormon,” Journal of the Book of Mormon and Other Restoration Scripture 19, no. 1 (2010): 36–55; also published in Third Nephi: An Incomparable Scripture, ed. Andrew C. Skinner and Gaye Strathearn (Salt Lake City and Provo, UT: Deseret Book and Neal A. Maxwell Institute for Religious Scholarship, 2012), 1–33; John W. Welch, Illuminating the Sermon at the Temple and Sermon on the Mount (Provo, UT: FARMS, 1999). See Book of Mormon Central, “Why Did the Nephites Stay in Their Tents During King Benjamin’s Speech? (Mosiah 2:6),” KnoWhy 80 (April 18, 2016); Book of Mormon Central, “Why Does King Benjamin Emphasize the Blood of Christ? (Mosiah 4:2),” KnoWhy 82 (April 20, 2016); Tvedtnes, “King Benjamin and the Feast of Tabernacles,” 197–237; Szink and Welch, “King Benjamin’s Speech in the Context of the Ancient Israelite Festivals,” 147–223. See Book of Mormon Central, “Why Did Jesus Allude to the Priestly Blessing in Numbers 6? (3 Nephi 19:25),” KnoWhy 212 (October 19, 2016). See Book of Mormon Central, “Why Did Jesus Minister to the People One by One? (3 Nephi 17:21),” KnoWhy 209 (October 14, 2016). Regarding the assumed lack of temple ordinances in the Book of Mormon, Hugh Nibley explained: “In the temple we are taught by symbols and examples; but that is not the fullness of the gospel. One very popular argument today says, ‘Look, you say the Book of Mormon contains the fullness of the gospel, but it doesn’t contain any of the temple ordinances in it, does it?’ Ordinances are not the fullness of the gospel. Going to the temple is like entering into a laboratory to confirm what you have already learned in the classroom and from the text. The fullness of the gospel is the understanding of what the plan is all about—the knowledge necessary to salvation. You know the whys and wherefores; for the fullness of the gospel you go to Nephi, to Alma, to Moroni. Then you will enter into the lab, but not in total ignorance. The ordinances are mere forms. They do not exalt us; they merely prepare us to be ready in case we ever become eligible.” Hugh Nibley, Temple and Cosmos, The Collected Works of Hugh Nibley, Volume 12 (Salt Lake City and Provo, UT: Deseret Book and FARMS, 1992), accessed online. Welch, “Seeing Third Nephi,” 53. John W. Welch, “The Temple in the Book of Mormon: The Temples at the Cities of Nephi, Zarahemla, and Bountiful,” in in Temples of the Ancient World: Ritual and Symbolism, ed. Donald W. Parry (Salt Lake City and Provo, UT: Deseret Book and FARMS, 1994), 377.